This entry was posted on February 26, 2013 by Jessica Anderson. Last month I wrote about Heroes for the Homeless, the organization we are partnering with for the 1st quarter of 2013. Each quarter we chose a new organization to work with because we believe in the Power of Recognition, and we want to recognize how people do truly amazing things to serve others. Heroes for the Homeless serves up to 700 individuals every month, providing food, water, hygiene supplies, clothing, tents, sleeping bags, and information on how to access social services. We think that is deserving of some recognition! There are some great ways to recognize an organization like Heroes for the Homeless. Here’s what we do. Maybe you have some additional ideas you could share? Make a financial contribution to support the great work they do. We will make a donation to Heroes for the Homeless at the end of the first quarter based on the sales of specific awards. Check out those awards here. We have some great basketball trophies if your kids are finishing up their season soon, consider these awards to make a donation. Spread the word about who they are and what they do so more people can support and recognize them. We use this blog, our Facebook posts, Twitter @AwardsGuru, and more to promote the organization we partner with. Our hope is that this will increase awareness of their cause and nudge others to support them as well. Join them in their efforts. If possible, our employees try to be involved with them also. 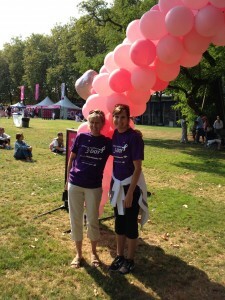 Last fall, Jessica and Janice volunteered for the Susan G Komen 3-Day Walk in Seattle. They were on hand to pass out t-shirts to the finishers. I know they felt privileged to be a part of recognizing the walkers for their accomplishments. We are still collecting new, warm socks and travel-sized toothpaste, shampoo, soap and other toiletries. If you are near Issaquah and have some you’d like to donate, please drop them by our showroom between 8:30-5:00 Monday – Friday through the end of March. 1320 NW Mall St, A-2, Issaquah, WA 98027. Please visit the Heroes for the Homeless website. To get a better idea of what exactly they do, watch their video, Walking With Heroes. By the way, congrats to them for 'Spreading Love for More Than Six Years'. 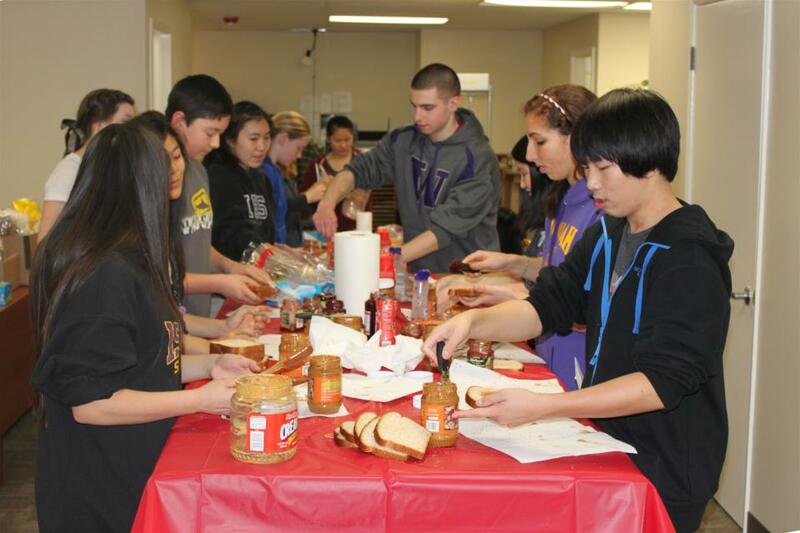 They had their 100th Outreach on February 9, 2013! We’d love to hear about the organizations that you support. Feel free to post comments below.